Welcome to a cycling adventure in Costa Tropical, in the south of Spain. This is a fantastic location for your MTB and road cycling holiday, with both spectacular mountains and beautiful beaches. We offer guided rides for both mountain bike and road bike. Costa Tropical is heaven for cyclists with plenty of tracks in the mountains perfect for mountain biking and quiet roads for road cycling. 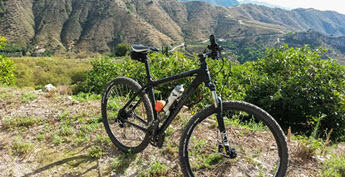 Next Level Cycling also offers guided day trips to explore the beautiful nature around La Herradura, Almuñécar or Nerja. This is a lovely “getaway” to explore fantastic tracks for you and your family. 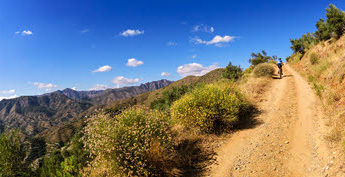 Mountain biking in this part of Andalucía is mostly cross-country that offers a lot of challenging endurance climbs with stunning views as a reward. The numerous dirt tracks and adventurous single trails mixed with some technical descents help to keep the adrenaline level topped up. Road cycling offers smooth road surfaces along the coast and in the mountains with hardly any traffic. There are plenty of beautiful whitewashed villages along the roads where you can enjoy a well-deserved “café con leche y una coca cola” during your break in the sun. We have put together some ready-made cycling holiday deals for you, including guided rides, bike rental, accommodation and transport. I have been on mountain bike tours three times with Björn and Next Level Cycling. Each time with a group of friends for a couple of days. It is a spectacular way to experience the area. Björn is fun to spend time with and a great guide. He adapts the tour to your fitness level and capabilities. The bikes are in very good condition and you get the feeling that Björn has mapped out every square meter to find the best trails and roads. If you like biking and a little bit of adventure this is as fun as it gets. So easily a five star experience. So after touring the mountains a few times you think that you have seen it all, but it turns out there is so much more to explore. For our latest tour Björn picked us up at our hotel in Almunecar and sold in the day as going the be epic :). This was a tall order but it turned out to be true. After a long and spectacular day we came to a point where we just were going to go downhill and return to the car. The tour had been epic until then and we were all close to euphoric. Then the downhill to the car turned out to be a 15km run ... here it became epic plus :). On top of this you get loads of great photos and Björn also maps out nice places for lunch. The price is also very agreeable. Compared to my other five star reviews this is a six. I actually live in the area and ride all the time but hadn't been over the Sierra Nevada mountains and so I did a private guided tour with Björn. He accommodated all of my requests. I wanted to ride from the Granada valley floor to the top and over. That's nearly 3,000 meters of continuous climbing...not an easy haul. Björn found a less traveled alternate route that was nicer than just doing the main road up to the ski resort. He knew where to break for a rest and where to get water. He knew what I should take. It was a pleasure having him guide me and I'd highly recommend using his services; you'll have a blast! Thanks! I will absolute recommend to do a trip with them. Björn is a very professional guide and very nice as well ;) The roads and paths are great, and the view is amazing. Björn will check your skills and make the tour after your skills + add some challenges. Björn was having full control and was communicating in an excellent way the whole trip. 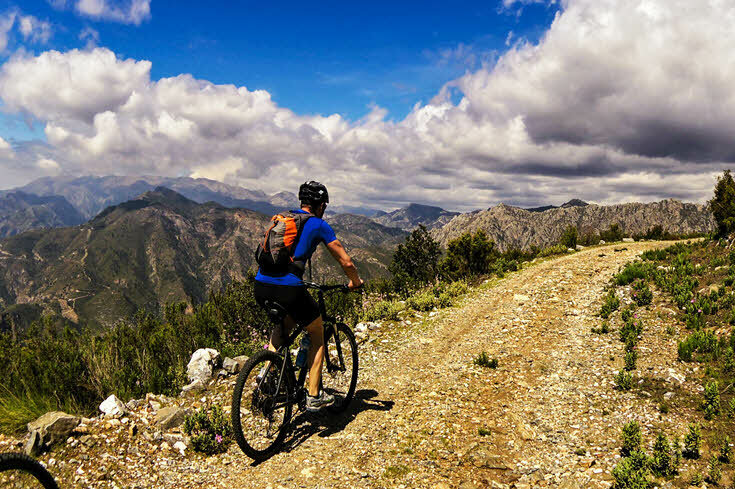 If you are used to cycle at Mallorca or Italy – you will be positive surprised to cycle with Next Level Cycling in that part of Spain, MTB or road cycling. A return to you is a must! We spent an excellent day in the mountains with Björn, where he led us around local roads and tracks that took in astonishing views and gave us some brilliant experiences. Björn was a perfect guide and really easy to get along with. He greeted us with water and snacks for the day, and led us straight out into the mountains where he tailored the trip to our level of ability. I would happily recommend booking a trip with Björn to anyone and everyone, and I can't wait to come back myself. I've just come back from an expert road biking day trip with Bjoern and it was one of the best days riding I've had. The whole trip was perfect from the initial communication through to the ride. We completed 120km and nearly 2000 m of climbing, and on the way had some fabulous views, nice lunch stop, ate some delicious figs from the side of the road and finished with a dip in the sea and ice cream to cool off. Bjoern managed the ride really well, making sure there were regular stops to keep the water topped up (which was crucial in the heat) and managing the pace so that I could complete the ride. I would thoroughly recommend this to anyone wanting to ride some proper hills and get an up close view of the amazing scenery, and I will look to plan a bigger ride in the future. Another cracking cycle trip with Bjorn. 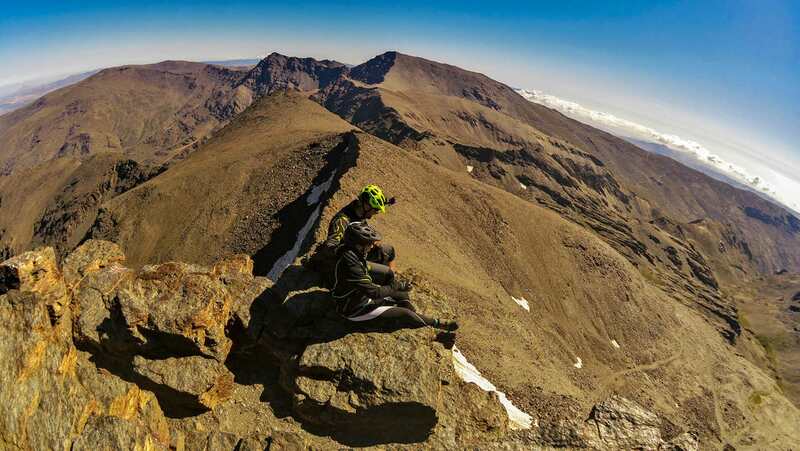 They truly know their routes and set the pace at the right level to allow you to get a good exercise push if you want it, but still enjoy the spectacular scenery this coastal part of Spain has to offer. This time I was lucky enough to ride one of their new 29er mountain bikes - incredibly comfortable and took me from road to trail seamlessly allowing me to focus on the riding and the surrounding views. Having the range of bikes that they have has meant the perfect experience for me each time I've taken a trip with them either road or mountain biking. Can't wait for the next expedition already!